When it comes to the average cost of a wedding, figures are tossed around as freely as confetti. According to the 2016 Easy Weddings survey, the average Australian wedding costs $30,895, while the 2015 Bride to Be magazine Cost of Love survey inflates this figure to $65,482. Why such a large discrepancy? Well, it depends on what elements are being factored into the cost of the wedding (is the engagement ring or honeymoon included? ), and outliers that may have increased the average (one person’s $200,000 lavish wedding extravaganza may not be the norm, but it will certainly boost up the average price). Some have pointed out that it would be more accurate to consider the median rather than average price to gauge a more realistic figure. 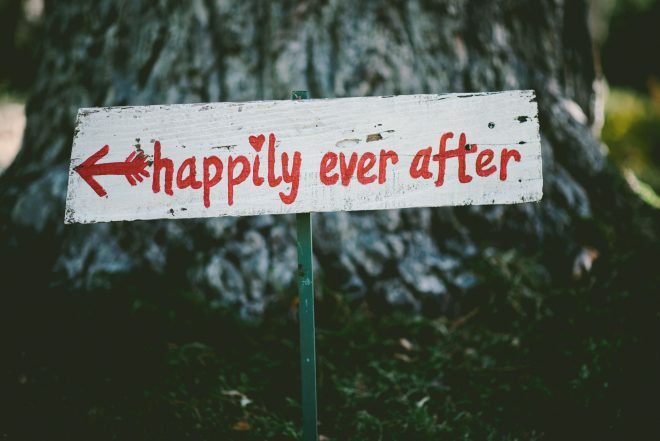 Regardless, the magic number that you’ll end up spending on your wedding is sure to be a WHOLE LOT OF MONEY that will quickly vanish within the space of one, albeit magical, day. Planning a wedding is taxing enough without the additional stress of financial burden. However, there are plenty of old, new, borrowed and blue tricks to help keep costs to a minimum. Traditional wedding venues equate to premium prices and can often be soulless function spaces that require the whole smorgasbord of decorations to transform it into a Pinterest-worthy affair. Hosting a wedding reception at a café, restaurant or other non-traditional venue will usually slash costs dramatically, and there is the added bonus of utilising a space that already has its own ambience and décor, which means that zero effort needs to go into sprucing the venue up. What’s more, your food options are bound to be more creative than the stock-standard fare typically seen on wedding menus (“Beef or fish?”). When it comes to matters of booze, forgo the fancy stuff. Stick to a basic drinks package and skip the free-flow spirits. Free alcohol is free alcohol and ain’t nobody going to complain about the vintage they’re drinking or the fact that they’d rather be downing an IPA than a lager if they don’t have to pay for it. Also, consider implementing a cut-off time for free drinks as a way of keeping your tab under control. Share plates are a fantastic substitute to the more traditional option of alternate fish/chicken plates. As well as being economical, it also adds a communal and relaxed atmosphere to proceedings, and can be a great ice-breaker for guests who may not know each other. If you are concerned about guests going hungry, a grazing table or dessert bar can always be added at the start and end of the evening respectively. As with most things in life, timing is absolutely crucial, and this adage is especially relevant when it comes to getting hitched. Having a wedding on a Saturday on a spring afternoon will undoubtedly set you back more than if you were to get married on a Sunday morning in the middle of winter. According to Easy Wedding’s annual wedding survey, 62% of weddings occur on a Saturday, with Friday coming in next at 15%, followed by Sunday at 11%. Unsurprisingly, spring is the most popular season to get married with 37% of couples choosing to say ‘I do’ during this time, followed by autumn with 26%. Interestingly, summer and winter are largely on par, with 19% and 18% respectively. The most popular months to get married are October and November. If you want to take it to the next level, think about hosting a lunch reception—it will be significantly cheaper than a dinner function, and, what’s more, your venue options will open up. Even if you have 7 BFFs from childhood, it may be wise to whittle your bridal party down to 2 or 3 ladies or gents. Keeping your bridal party small inevitably means savings on dresses, suits, hair, make-up, gifts—the whole gamut. Make sure to extend this ruthlessness to the guest list if you are intent on keeping wedding costs to a bare minimum. Do you really need your second cousin once removed at your wedding? There may be some family drama to overcome, but stay firm in your resolve. One way to do this is to purposely pick a venue with a small capacity, so that you have a concrete excuse in justifying why said second cousin once removed didn’t make the guest list! It’s time to draw on those art and crafts skills that you picked up from your Grade 3 art class and DIY everything humanly possible. Do you have insanely talented creative friends? Pull in some favours and ask them to help out with invitations, decorations and anything else that can be handcrafted. If your craft skills are entirely lacking, source items from Etsy, eBay and other online outlets, rather than a wedding vendor. You may be able to order table name cards at a fraction of the cost on Etsy or find candles, fairy lights and decorations at a bargain price on eBay. Take the time to shop around—you might be pleasantly surprised at how much you can save without sacrificing on quality. We’re not suggesting that you send out a Facebook wedding invite (not that there’s anything wrong with that—just make sure to chase up on those ‘maybes’), but why not create a basic website where you can place your wedding details? Going online means that you’re also being kind to the environment, and this alternative has become quite popular with eco-conscious couples. Additionally, this may be a particularly useful option for overseas weddings if a lot of information needs to be relayed to guests. There is also no chance of your guests losing their invite! Paperless invites can also be sent through websites such as Paperless Post and wedivite. Put the word ‘wedding’ in the same sentence as ‘flowers’, and be prepared to have a semi- heart attack when you hear just how much it’s going to cost to have peonies adorning every table. We love flowers as much as the next person, but let’s be honest: all those pretty posies are only going to be thrown out at the end of the night. Go easy on the floral arrangements and turn to mood lighting instead in order to create ambiance. It’s as effortless as using simple (and cheap) candles as centrepieces and stringing a few fairy lights around the venue­. Something that couples often don’t factor into their budget is the travel cost of vendors in addition to what is being charged for their services. 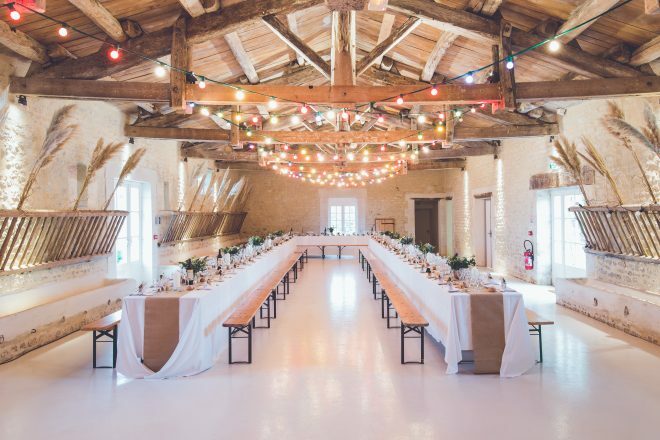 Aim to book local vendors whether you’re having your wedding out in the suburbs, at a winery or in the countryside, as paying for vendors’ travel costs can quickly add up. It’s also a great way to support local business! Do you really need those save-the-date cards, boutonnieres, satin chair covers and sashes or monogrammed napkins? One cost-cutting strategy to try is to pick 2 or 3 things that are most important to you. Do you want fantastic photos to remember the day by? Are you a foodie who only wants the finest cuisine for guests? Figure out the things that are non-negotiable for you as a couple and don’t feel guilty about splurging on those items—but aim to cut costs on other things that aren’t as important, such as transport or entertainment. 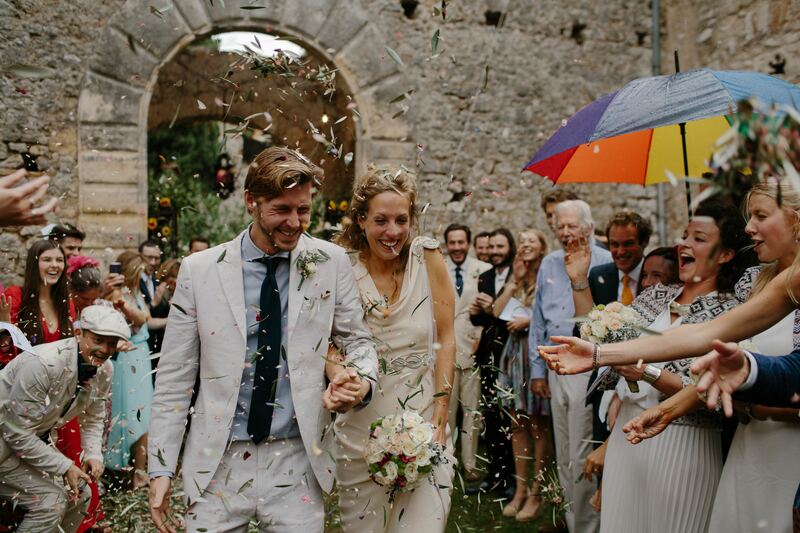 At the end of the day, the most important thing is to celebrate your union with your nearest and dearest.